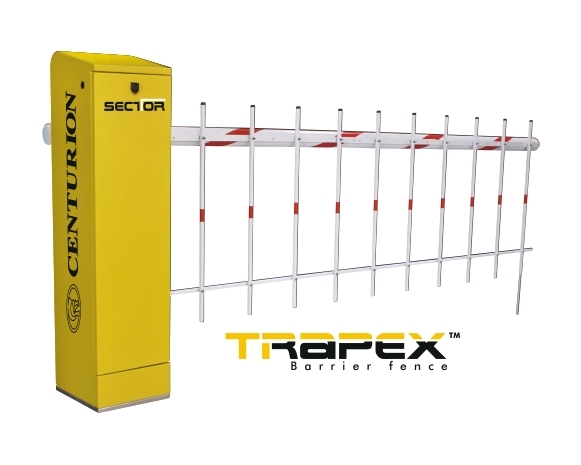 The simple, yet effective design of the TRAPEX barrier fence allows you to pop-rivet the TRAPEXmodules into place onto the barrier pole which in turn lets the TRAPEX swivel freely and ensuresextremely easy vertical alignment of the upright poles. The modular construction allows for theTRAPEX to be installed by a single technician, providing for a hassle-free installation and saving you time and money. The only thing easier than installing it is watching it work trouble free year upon year.